Three friends noted almost simultaneously in my Twitter feed this morning that Red Sox managerial candidate Pete Mackanin is a dead-ringer for the “Bored to Death” version of Ted Danson. It’s a better “celebrity lookalike” than most of the delusional comparisons that show up in the popular Boston.com gallery (“Absolutely, dear, send it in — you look just like Tom Brady, you know, in the right light . . .”), though I say young Mackanin looks less like Sam “Mayday” Malone and more like Toby from “The Office.” We should all age so well. 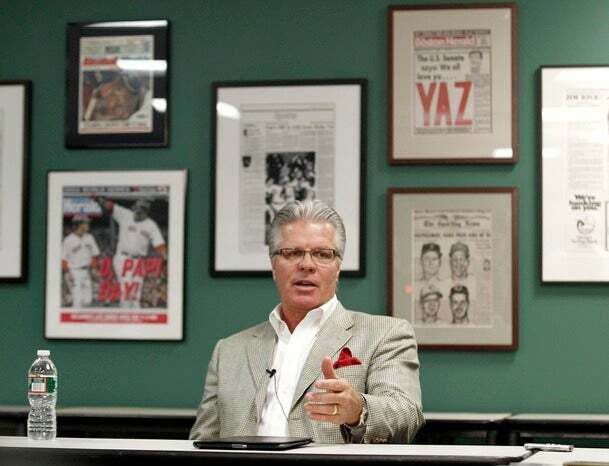 I’m not ready to declare Mackanin the ideal post-Tito manager of the Red Sox just because he showed up at his interview with an iPad and a carmine-colored pocket square. (Wait. That’s exactly why the computer is called Carmine, isn’t it? Theo, you . . . am I the last one to pick up on this?) Given John Henry‘s fanatical well-known appreciation of numbers, it was savvy of Mackanin to note his appreciation of using statistics to gather information. Grady Little he clearly is not, though the ultimate test of his true commitment to sabermetrics would have been to ask him if he has heard of Fangraphs. If he replied, “Yes! And do I love Eno Sarris!,” then and only then would we’d know for sure his depth of devotion to advanced metrics. What we do know for sure about Mackanin is that he has a dry sense of humor, understands the issues that divided the Red Sox clubhouse, recognizes that there needs to be some authoritative distance between the players and their manager (looks like no more cribbage with the boss, Dustin), and that the first candidate the Red Sox have interviewed in this process is a viable and appealing one. They’re one-for-one so far, with several more at-bats ahead. Pete Mackanin fun facts, and by fun facts I mean minutiae interesting to me and probably only me: In 98 plate appearances as a 21-year-old rookie with the 1973 Texas Rangers, he batted .100 with a minus-22 adjusted OPS. He had 13 more at-bats that season than future four-time batting champion Bill Madlock, who hit .351 … Since the Rangers had three managers that season — Whitey Herzog, Del Wilbur, and Billy Martin — I’m not sure who to blame. But it’s a good thing Ted Williams quit following the previous season. Can’t imagine he had much patience with .100 hitters . 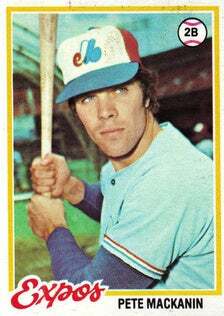 . . His best season as a player came with the 1975 Montreal Expos when he played 130 games, hitting .225 with 12 homers in 130 games. That 75-win Expos team was led by a 21-year-old rookie who played a different position than the one he played during the majority of his Hall of Fame career. If you remember that Gary Carter played 92 games in right field as a rookie, you probably still aren’t over the Expos leaving . . . He has some vague similarities in background to Francona: He played for the Expos and worked for the Phillies, but the most interesting near-overlap with Tito came in the minors. Mackanin managed the 1988 Iowa Cubs. Two years earlier, Francona played for the same team, where his teammates included Greg Maddux, Jamie Moyer, and Rafael Palmeiro . . . He’s been an interim manager twice: With the 2005 Pirates (most interesting name on that roster: Jose Bautista) and very interesting 2007 Reds (where he had, among others, Ken Griffey Jr., Josh Hamilton, Adam Dunn, Bronson Arroyo, a Joey Votto cup of Dunkin’s, and, obviously, Norris Hopper.) . . . Finally, I can’t recall is Mackanin is mentioned in it, but one of the funniest baseball books of all time — “Seasons In Hell,” by Mike Shropshire — covers those chaotic early ’70s Rangers. Read it. You’ll laugh your Del Wilbur off, and it might just make you feel better about the chaotic 2011 Red Sox. The more I hear about Dale Sveum‘s dedication to poring over statistical data during his days on Francona’s staff, the more I wonder whether he is the pre-interview favorite for the job. Of course, given his flaws as a third-base coach — I’d rate him somewhere between Tim Bogar and Wendell Kim on a does-this-dope-think-home-plate-is-only-60-feet-away? scale — I’m skeptical that he can get through a nine-hour interview without his right arm twitching uncontrollably before he finally begins pinwheeling the thing and yelling, “Run, Mirabelli! Dammit, run!” Which would be quite awkward and very likely frighten Mr. Henry. If Kevin Youkilis is a finalist for the Gold Glove award at third base this year, then I say Butch Hobson deserved at least an honorable mention in 1978. And I refuse to listen to your counterarguments. No one dove into a bat rack in pursuit of a foul ball 20 rows into the seats like ol’ Clell. I’m not saying I’m skeptical that the Red Sox will attempt to replace J.D. Drew in right field with a player who is even less durable, but . . .
To be fair, Sizemore was durable early in his career — during his first four full seasons, he never played fewer than 157 games, playing all 162 twice. But he’s played 104 games total the last two years, barely averages more games played per season since becoming a regular than Drew (121.3 to 119.4), and just had another knee surgery. He’s not a broken man, but he might be a cracked polystyrene man. And sadly given his early promise, he’s definitely damaged goods. Yet he’s just 28 years old, and his talent is such that it wasn’t so long ago that we thought it was unrealistic to expect Jacoby Ellsbury to be his equal. He’s an interesting gamble, and I’d like the Sox to take a shot at him, but I doubt Ben Cherington is considering him as an everyday right fielder. The hunch here is that if the Red Sox do sign Sizemore, it will be as an occasional outfielder and frequent lefthanded-hitting designated hitter, with Kevin Youkilis also getting some time in the DH slot. Yes, I do think Sizemore’s arrival would indicate the end of David Ortiz‘s legendary run in Boston. I miss the World Series. Can’t the Cardinals and Rangers keep playing until the NBA returns? Yes, I miss that too. Heard Gerry Callahan say on WEEI this morning while discussing Sizemore that players who are injury prone don’t become dependable as they get older. It’s a fair presumption. 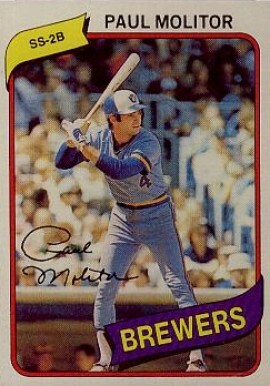 It’s also one more reason why Paul Molitor‘s career was remarkable.